"Living longer. Talk to your doctor, your health department, or other AIDS resources within your community. Or call your state or local AIDS hotline. Or you can call the National AIDS hotline at 1-800-342-AIDS. Call 1-800-243-7889 (TTY) for deaf access." "HIV is the virus that causes AIDS." Order number: P555. 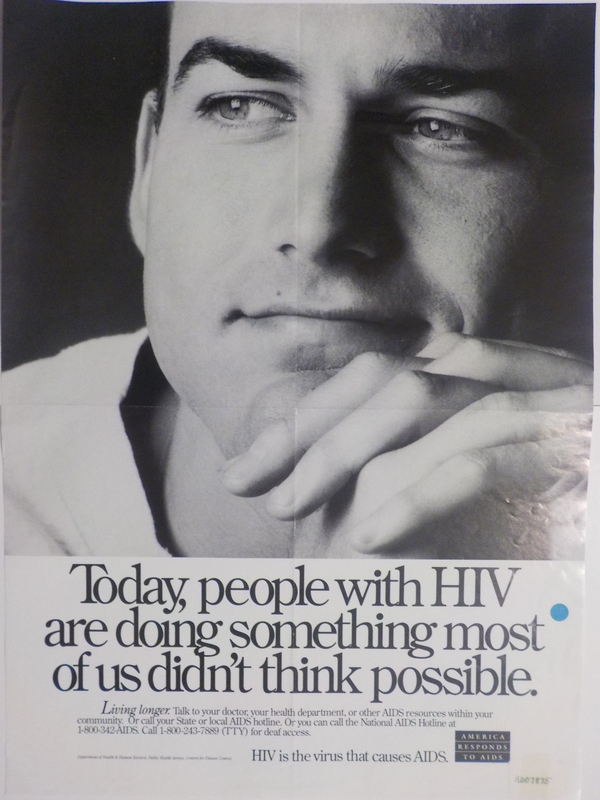 CDC National AIDS Clearinghouse, Catalog of HIV and AIDS education and prevention materials September 1994, p. 15. Targeted to individuals whose behavior makes them more vulnerable to HIV infection, this poster stresses that people with HIV infection are now living longer.